- Wednesday 24th April - no meeting - enjoy the break. Well done Tracey Farnsworth - Shine On award winner Highly Commended Community Service. 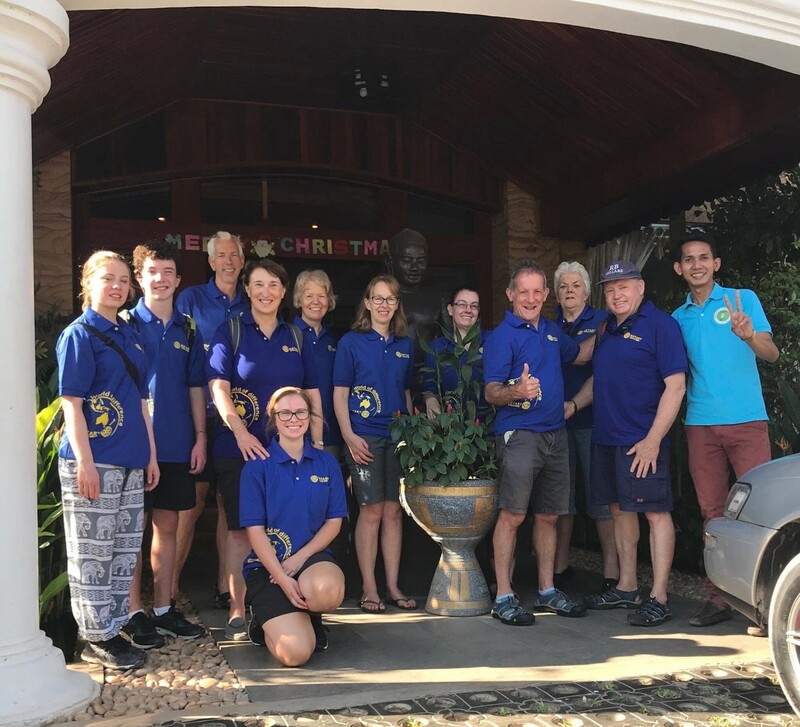 Our team of 13 volunteers has assembled at the Apsara Dream Hotel – don’t get over excited by the name but it is comfortable and at $US21 a night is good value for money. Thank you again to Chadstone Motors for once again housing our Xmas Trees. We could not run this fundraiser without their support. What a performance - that earned a standing ovation!! 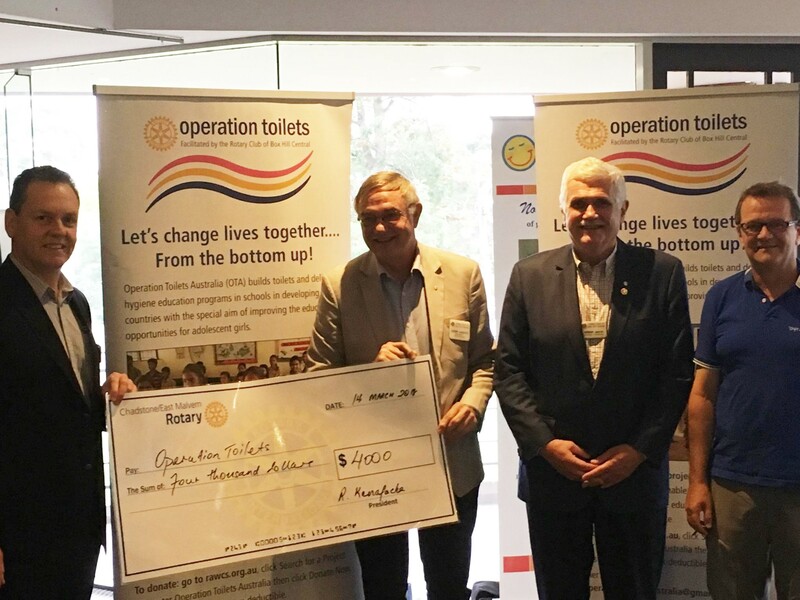 Thank you to the many Rotarians and friends for helping to feed the troups. See next page for the Newspaper Article from 2000! Back in 2000, Lin Hughes and past member Mel Gray buried our Time Capsule at Central Park. We joined the Friends of Gardiners Creek again for another tree planting day. 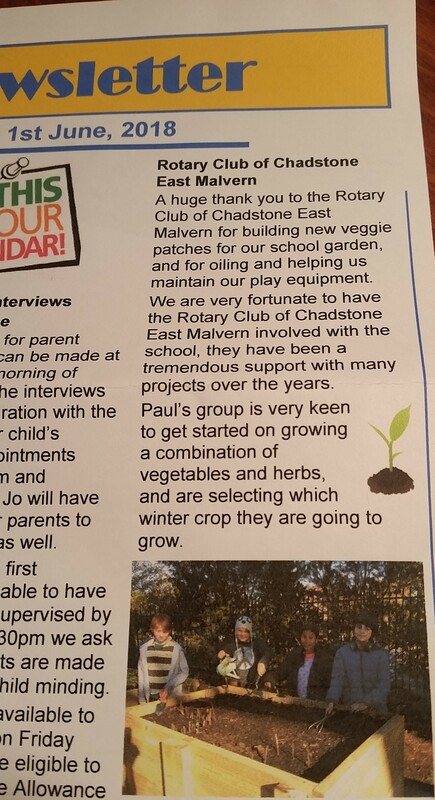 We helped St Oswalds Church to rejuvenate their garden. And what a difference we helped make! 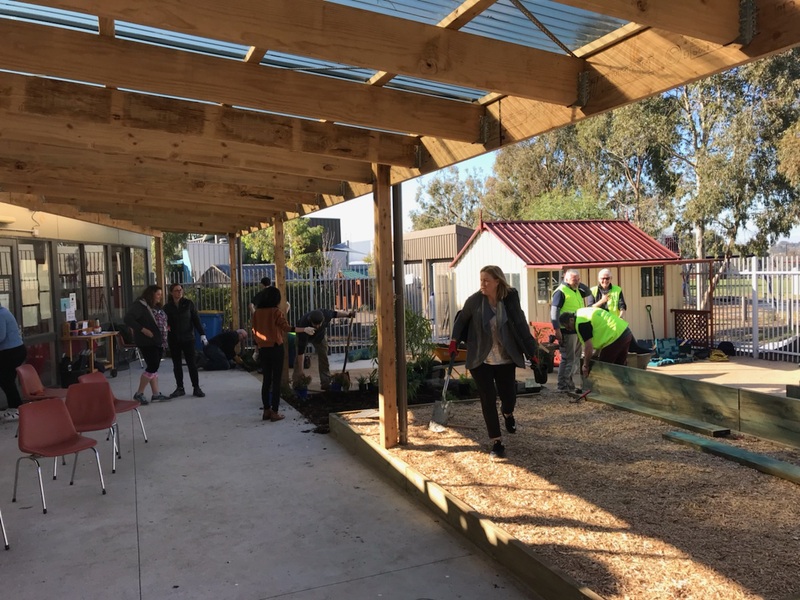 We joined the Friends of Gardiners Creek Valley and Stonnington Council for this community planting event. Someone asked at the Club meeting on Wednesday night as to where the birthing kits would go - please see map. 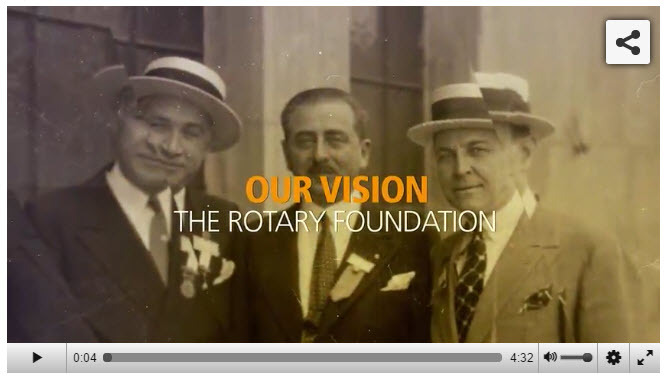 One of the identified projects was with Rotary in Nigeria (it is shown on the map). There are so many things we use and then discard. Why waste when you can put it to good use? Are you free to help? 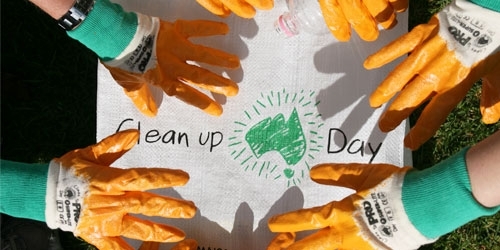 We need plenty of helpers for this great event. Please contact Chris Don if you can help. 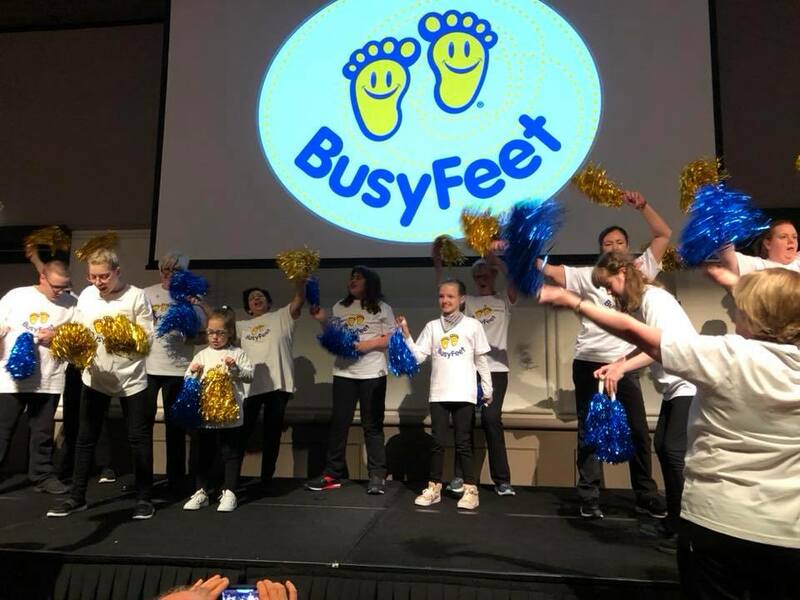 BusyFeet got a standing ovation for their performance at the Rotary Victorian Multi-District Conference! 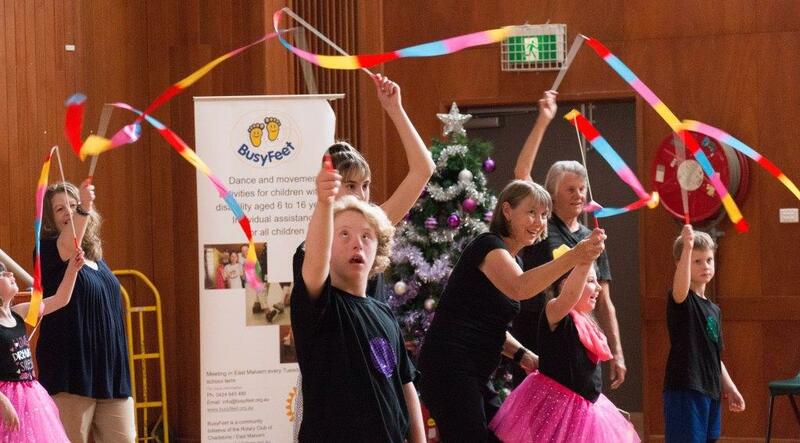 BusyFeet is a dance and movement activity for children with intellectual and physical disabilities, aged 6 to16 years. The participants will experience happiness, and develop more self confidence, through the movement of dance.